Full in-depth review and test results for Canon EOS RP full frame mirrorless camera. 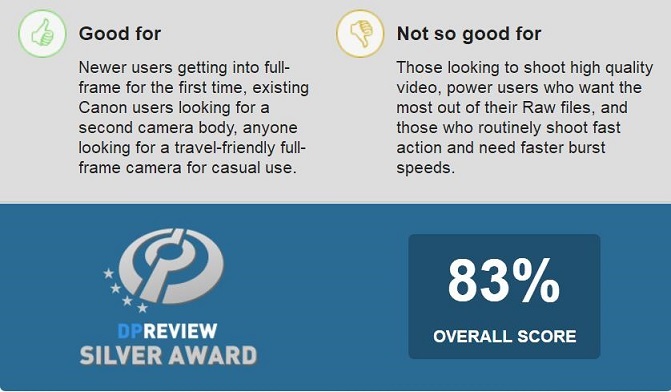 According to the review at Dpreview, the new Canon EOS RP achieved an impressive 83% overall score and Silver Award from the experts. You can read the full review at DPReview.